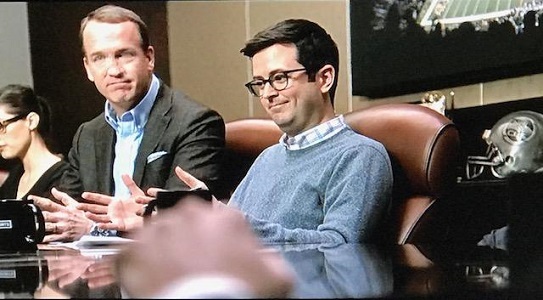 In a poll taken by USA Today, this blipvert was voted as being the worst of this year’s crop of Super Bowl commercials. One of the reasons cited was that most of the audience today don’t even recognize the late pop artist even if they know of his work. I’m sure if he was still here with us, he’d be laughing about the reaction. I also think this commercial can be counted toward his eventual inclusion in the Television Crossover Hall of Fame. 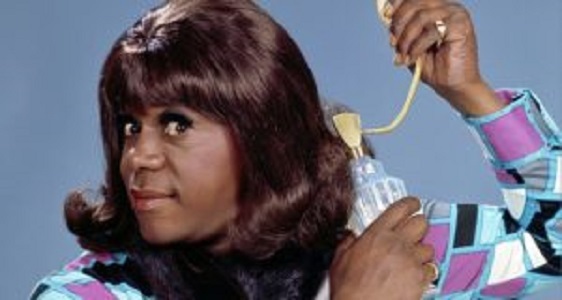 Geraldine Jones was a fictional African American character, the most famous recurring persona of comedian Flip Wilson. Geraldine was played as a sassy liberated Southern woman who was coarsely flirty yet faithful to her (unseen) boyfriend "Killer". Poorly educated, she was nevertheless confident; she did not change her behavior to suit anyone. Several of Geraldine's sayings entered U.S. popular culture as catchphrases, especially "When you're hot, you're hot; when you're not, you're not," "The Devil made me do it," and "What you see is what you get!" 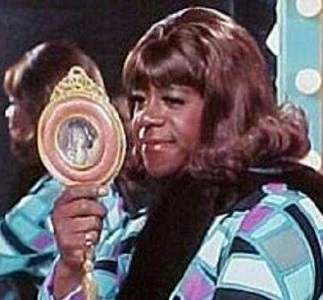 Wilson portrayed Geraldine many times in the early 1970s on his variety series The Flip Wilson Show, though not on every episode. He made comedy albums featuring Geraldine, notably "The Devil Made Me Buy This Dress", and he appeared as Geraldine on other programs such as Saturday Night Live. He sang and danced as Geraldine at the Kennedy Center in 1983 for Bob Hope's 80th birthday celebration. Wilson tired of the Geraldine character late in his career; he responded to most requests by saying: "She's retired." The character of Geraldine was intended by Wilson to "relate to women" without putting them down. Wilson said he wanted Geraldine to be strong, proud, and honest in her dedication to her man; a woman who felt free to act spontaneously.In contrast to other comedians who belittled women, Wilson wanted Geraldine to be "the heroine of the story." Wilson first introduced Geraldine by name and appearance in a comedy sketch on Labor Day, September 1, 1969, within a television special put together by Wilson, his manager Monte Kay, and NBC executives. 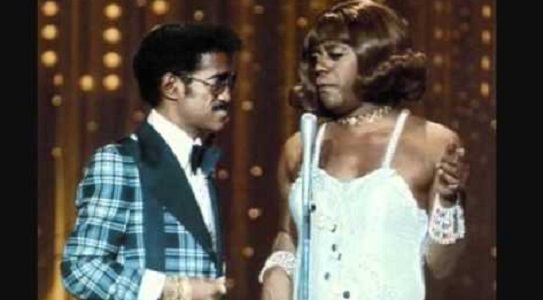 The show was called The Flip Wilson Special. In the skit, comedian Jonathan Winters, dressed in drag as his popular character Maude Frickert—a gray-haired lady with a sharp tongue, was a passenger in an airliner. Wilson's Geraldine character entered, walking down the jet's aisle in a stewardess's miniskirt, and a bouffant flip hairdo topped by a pillbox hat. Geraldine sat down next to Maude and the comedic interaction was immediately infectious. Wilson said that Winters was chosen because his Maude character was well-known, and because there would be several points of comic tension: both men playing women, the generational difference in apparent age, and the difference in race. 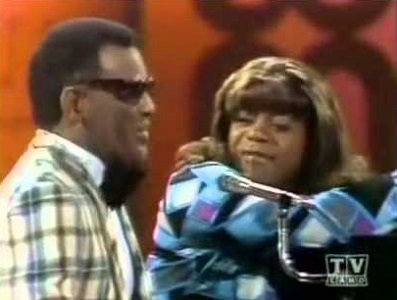 Wilson also performed as Geraldine on 'The Ed Sullivan Show' on January 11, 1970. In the routine, Wilson takes on the persona of a preacher's wife. The wife (Geraldine) explains to her angry husband why she has an expensive new dress, telling him that "the devil made me buy this dress." 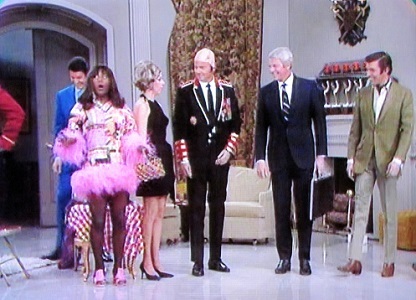 This skit was also performed by Wilson on his fourth comedy album, "The Devil Made Me Buy This Dress"—its title taken from Geraldine's retort. 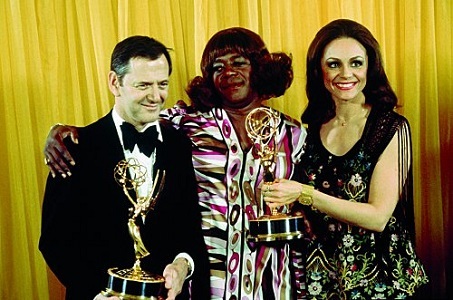 The album, featuring Geraldine on the cover, was certified Gold, and it won the 1970 Grammy Award for Best Comedy Recording. 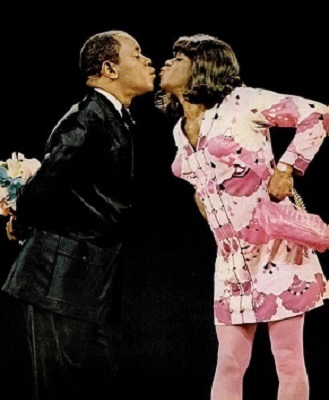 "The Flip Wilson Special" was seen by 42% of all U.S. television viewers; this success led to NBC signing Wilson to 'The Flip Wilson Show'. Wilson portrayed Geraldine many times during the four-year run of the show. 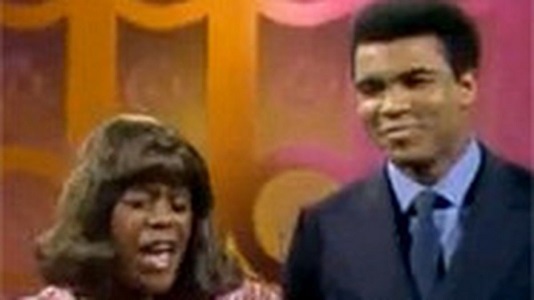 Geraldine was cast in skits with a number of guests on the show, including David Frost, Richard Pryor, George Carlin, Lily Tomlin (playing Ernestine), Joe Namath, Jim Brown, Arte Johnson, Moms Mabley, Sammy Davis Jr., Tim Conway, Ray Charles, Lola Falana, Perry Como and Muhammad Ali. In just that list, Geraldine got to interact with Sammy Davis Jr. and Muhammed Ali, plus a few future Hall of Famers like David Frost and Ernestine. Plus, as mentioned earlier, Geraldine worked with Maudie Frickert in the special that started it all and with Ed Sullivan a League of Themselves member who is part of the Hall. For more about Geraldine Jones, click here. Why did I induct Geraldine Jones now as a Friday Hall of Famer? Well, for one thing, this is Black History Month and I think Geraldine is the greatest black character to come out of Skitlandia. Besides... the Devil made me do it. Welcome to the Hall, Miss Geraldine! It took me multiple viewings before I realized that was Forrest Whitaker with the Alexa-equipped toothbrush. I might have guessed it was the Kelly brothers up in space had there been a better view of the space-walking sibling. (But of course the aerial view of the United States flickering lights takes away the attention.) But I never would have known that the girls in the hot tub were famous as well because I’ve never seen ‘Broad City’. 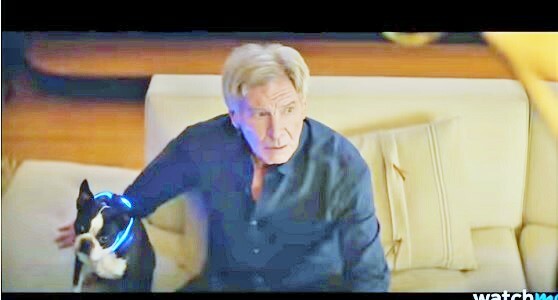 Then again, it’s hard to notice anybody else when such an old-school styled movie star icon like Harrison Ford is in the ad. And it certainly didn’t hurt for him to be paired with that Boston Terrirer! 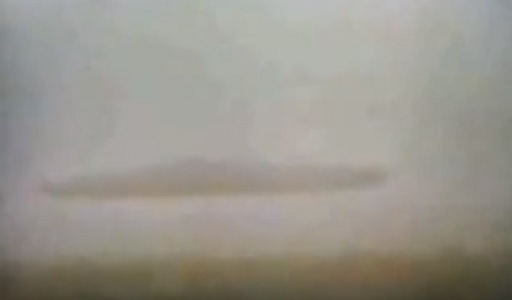 Along with the other celebrities in the commercial, Ford appeared in a teaser trailer for the commercial, a concept that’s gaining traction nowadays. Since the Super Bowl, a new version of the Alexa commercial has been broadcast which is given over totally to Ford and his dog. It’s not exactly a surprise that Ford would be involved with Amazon in this commercial; he’s worked with them before. 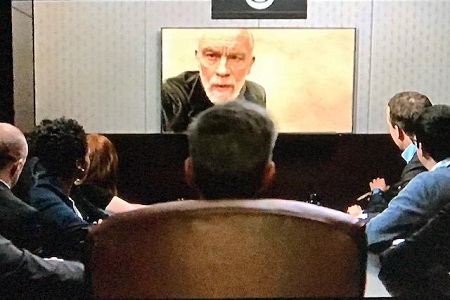 We do have quite a few TV show episodes, mostly sitcoms, in which there are references to Harrison Ford which thus acknowledge his existence in Toobworld Those commercials seen above are enough for him to meet the bare minimum requirement to gain eventual entry into the Hall, but all of those references seal the deal. Today’s Toobish look at Super Bowl 53 has nothing to do with the commercials. It’s a Two for Tuesday look at the televersions of Peyton Manning and John Malkovich, members of the League of Themselves who kicked off the CBS coverage. 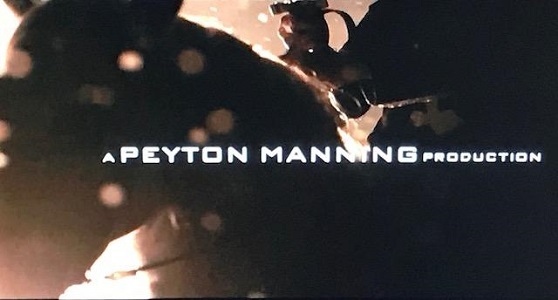 The opening looked like every other bleeping opening ever for the Super Bowl with perhaps the biggest cliché possible – “Clash of the Titans”, a gladiator grudge match. It then cut to the executive board room at CBS where it turned out the video was just a warm-up in Peyton Manning’s vision of a budget-breaking opening act. Sorry. 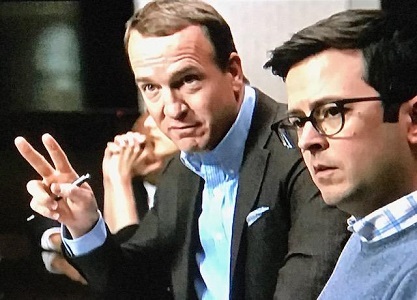 TWO-time Super Bowl champion Peyton Manning had blown a massive hole in the budget even though he was just supposed to be a consultant. (Pronounce that as “figurehead”.) And he wasn’t finished yet – he had also rented out the Coliseum in Rome, Italy, and hired actor John Malkovich. The “thesbian” curmudgeon couldn’t understand what his presence in the historical landmark could possibly have to do with the Super Bowl. And he didn’t hold back in dressing down Manning and the executives for such a numbskull idea. As I said earlier, these were the “televersions” of Peyton Manning and John Malkovich, interacting with fictional characters. It wasn’t real life. So this piece of Super Bowl history will be considered as legitimate qualifications for each of them should they ever qualify for membership in the Television Crossover Hall of Fame. Both of them have several appearances in connection to ‘Saturday Night Live’ and Peyton also played himself in the Tooniverse with his brothers for an episode of ‘The Simpsons’. Could have had another for Manning but he played a fictional character in an episode of ‘Modern Family’ rather than himself. As for Malkovich, I can’t see him playing himself again just to get the bare minimum of qualifications for his tally. But who knows? He did do the Super Bowl, after all…. Malkovich & Manning – Two for Tuesday! 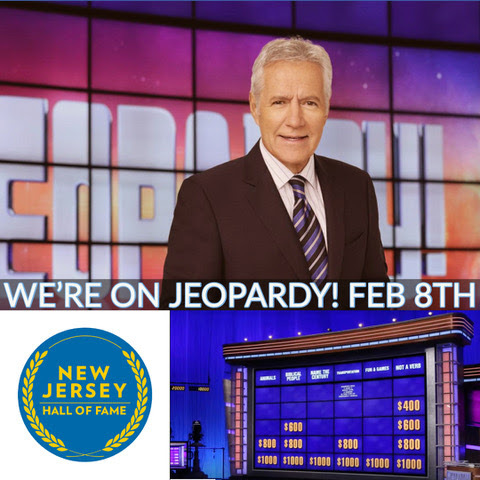 Now it’s time to play Monday Morning Quarterback and begin the daily look at what was REALLY important from last night’s event – the commercials! I don’t brand it as being the worst because of its impact; there were plenty of others which were very boring and some I couldn’t remember who the sponsor was. 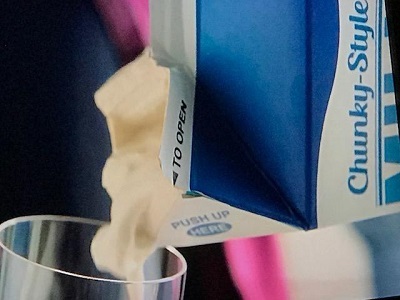 I thought “Chunky Milk” was really funny and most importantly, it has plenty for me to work with as a televisiologist. I only call it the worst because it's disgusting! After it aired last night I posted to Facebook that Mint Mobile had just made me lactose intolerant! Let’s deal with the “spokesman” first. 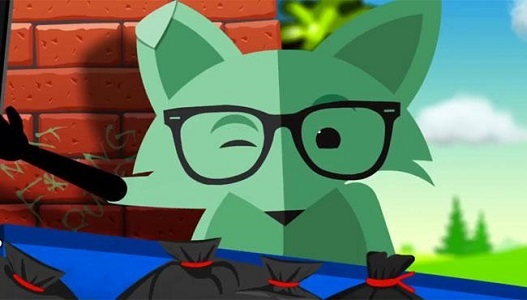 Mint Mobile’s minty green Fox is first seen on the computer screen before it escapes the internet aether to become “real” in the live action world. This isn’t a crossover from the Tooniverse, but if it wanted to live in that alternate TV dimension, it would have fit right in. I’m not sure why they’re using a fox as their mascot. (At least the Car Fax Fox makes sense!) But at least it’s not another owl. Owls have been the “spokesmen” for about five different products over the last couple of years. And we all know that the owls are not what they seem. To provide an example of what’s not right, the Fox showed the Chunky-Styled Milk blipvert and how the family loved drinking -# er, chewing – it. That commercial may have featured human actors; it might even have been produced by humans. But it’s target audience was a subset of the population in the televersion of the United State – the Tenctonese aliens who found the pleasurable after-effects of drinking spoiled, sour milk to be similar to that of alcohol. "This was the scene in California in California Mojave Desert 5 years ago. The historic 1st view of the Newcomer ship upon its arrival. The ship was a slave ship carrying 250,000 beings, bred to adapt & labor in almost any environment .But they washed ashore on Earth with no way to get back to where they came from. And in the last 5 yrs, the Newcomers have become the latest addition to the population of Los Angeles." 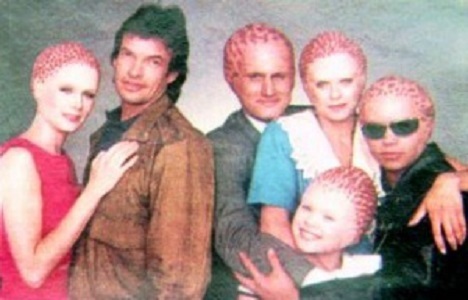 This premise could have doomed the series to some other Toobworld, but even though I was an avid fan of ‘Alien Nation’, that too-soon cancellation may have prevented that decision…. Looking at it from a cold televisiological viewpoint. The series took place in 1995, broadcast in 1990-91. And after a few TV movie sequels, they have not appeared in the main Toobworld since. If we had a perfect Toobworld, we would at least have seen them in background shots over the years in other TV shows. And it wouldn’t even have to be TV series set in the Los Angeles area. By now, a quarter century since they were last seen in Earth Prime-Time, some of the Tenctonese could have spread across the country, perhaps even migrated to other countries. Toobworld Central has long had a theory as to where the Tenctonese ended up – off Earth. 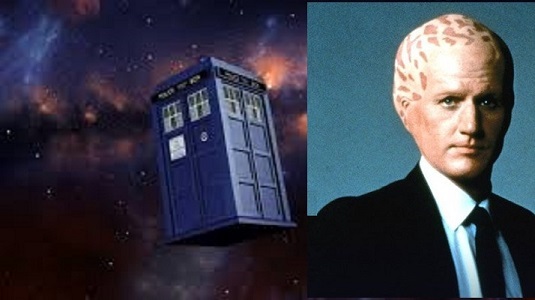 In my theory, UNIT requested help from the Doctor in bringing the “Newcomers” back to their home planet… if they wanted to go. Most of them did, but even though the TARDIS was bigger on the inside, it still took quite a few trips to get nearly a quarter million aliens back to Tencton. Definitely I’d want the Francisco family and Cathy Frankel to stay behind! So with that core group of Tenctonese-Americans still around somewhere, companies would know that they would have dietary, recreational, and fashion needs to be addressed. And then the advertising agencies would come up with the campaigns to sell those products to the No-Longer Newcomers. Chunky-style milk would have been one of those products. We’ll keep looking at other Super Bowl 53 blipverts over the next few weeks I think…..Here's lookin' at you, kid..... Drink up!